After four years in development by a reasonably large team, Mel is by far the most ambitious Portal mod ever released, and in terms of production values probably among the most polished Source mods. We begin in the 1950s, as one of Cave Johnson’s new Olympian test subjects steps off a tram into Aperture Science Innovators. Unfortunately things don’t go entirely to plan; the test of a short-term relaxation chamber leaves us frozen in time until sometime after the events of the original Portal. The subsequent journey takes us through every era of Aperture’s history in environments which are always richly detailed and sometimes breathtakingly expansive. How long that journey will take you depends largely on your puzzle solving expertise. This mod goes far beyond the difficulty level seen in Portal 2 and will likely take several hours to get through, but thankfully the challenge comes from lateral thinking rather than any sneaky or contrived solutions. Test chambers are varied in size and approach but will never require speedy manoeuvring; it’s usually clear what you’re trying to achieve, although on some occasions it may take you a long time to figure out how. There is far more on show here than just sterile testing environments though, and a couple of new characters help to move the story forward. The main plot is relatively straight-forward but conveyed well through the use of a lot of competent voice acting, and aided by a new soundtrack from Portal film-maker Harry101UK. To be commended is the mod’s ability to create atmospheric moments and set-pieces, managing to be mysterious, scary or exciting on many occasions. 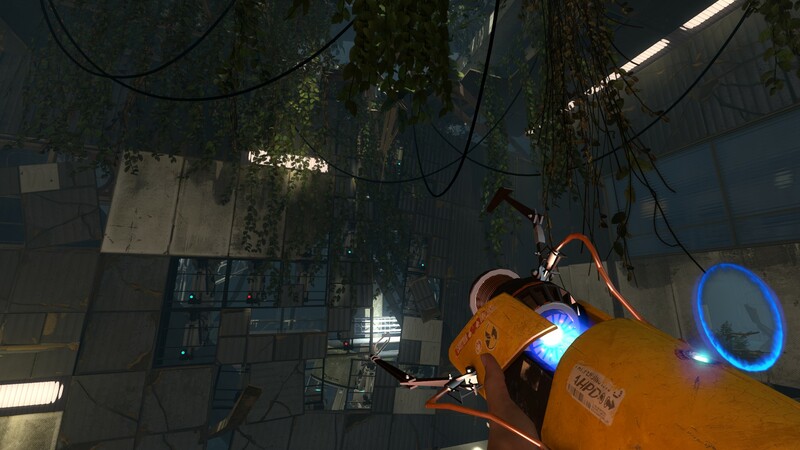 It rarely moves into the overtly comedic territory that Portal 2 tended to, which in my opinion is a plus. It is difficult to criticise a mod which is not only lengthy and ambitious, but also so much fun and well executed overall. It should be mentioned that the scale of levels can have its drawbacks, as players with low-end hardware will experience performance issues in some places. I also had a couple of strange glitches and even hard crashes, but it’s hard to lay too much blame on the developers for this. Portal Stories: Mel feels less like a mod than an expansion pack; it is to Portal 2 a lot like Opposing Force is to Half-Life. And when it does some things better than Valve themselves, that is an achievement to be commended. What are you waiting for astronaut, Olympian or war hero? Download the mod now on Steam! This mod definitely looks nice. I have downloaded and synced it through my personal home steam backup system but I have not played it so far. Backlog is huge and time is short as a matter of fact 🙂 I’m also not following mods particularly since they do not put themself into the _official_ game storyline and have often rough edges, but I admit this one looks to be played. What is your playtime on it so far out of curiosity? Would you recommend this to me (I guess so, but I’m asking again)? I have put it on my small brother’s machine, he played a bit but made no comments (I also have not asked though). He is 11 years old at the moment, so I guess maybe it was more of a challenge for him as I read your comments. 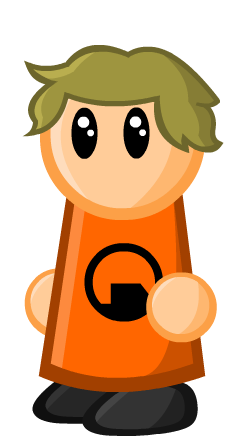 One last question though: How have they handled GlaDOS voice without Miss McLain? This would kinda shock me if it is too different. My playtime was somewhere around 8 hours, but I would guess that some people could complete it in less than that. As you can tell from the review, I’d definitely recommend it, as long as you don’t mind the puzzles being quite challenging to think through. And without giving away too much, GLaDOS doesn’t directly appear in the mod, although the new and returning characters are all voiced well. It’s an extremely good looking mod, and the story isn’t terrible either – that puts in far ahead most mods out there. However, I didn’t find it *fun*. Portal and Portal 2 test chambers were a little easier, but they moved in a way that the story progressed in a reasonably pace. In Mel, once you’re half-way to two-thirds through, the tests are less and less fun, and more and more about noticing some tiny detail, or rapid timing. Some levels just felt like the author was trying to prove how clever they were more than produce a fun game. I’m sure that wasn’t their intent – it’s clear how much passion was put into this – but that was the end result for me. In the end, I got through it with help of the YouTube videos (some of which run through the levels at a lightning pace – clearly played through by experts). I might play it again in a few years, but it didn’t leave me with the sense of enjoyment I had with the Valve-made games. That’s a valid point and I have to say that I too needed help on one puzzle in particular. I decided not to mention it in the review because for me personally it didn’t affect my overall enjoyment.